Over recent years, appetite for video has surged. And looks in no danger of slowing down anytime soon. 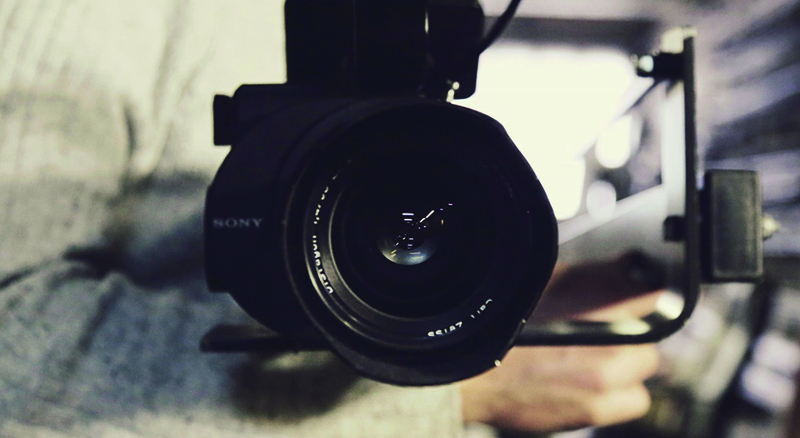 As a result, organisations are creating evermore video content. And those that aren’t, are planning to. Therefore, based on wanting to increase video production numbers, while decreasing costs. More and more organisations are now asking themselves the question – shall we bring video production in-house? While bringing video capabilities in-house could well be the right thing to do. Every organisation is different. And so, each organisation should carefully consider the reasons for and against such a move – specific to them. In this post then, we’ll outline the benefits and drawbacks of having your own video production capabilities in-house. As well as some recommendations. 1. Fast, reactive, nimble: By having facilities onsite, you do away with the need to work around your outsourced talents schedule. Therefore, your dedicated video team, can react quickly to any opportunities, and more easily adapt to any unforeseen changes. 2. Saves on costs: The only way to really do this though, is to increase the volume of videos being created. The video team needs to be kept busy – economies of scale. 3. Improved brand management: The in-house team is living the brand day in day out. They can bring this intimate understanding to every video project. Knowledge that outsourced talent often fails to have, and takes time to acquire. 4. Improved collaboration: By having easy on-site access to talent such as editors and animators, the production process can be far easier to manage. These working relationships will develop in time, further helping to improve ways of working and ultimately, output. 5. Room for experimentation: An outsourced production company, will work for a set period of time or scope, agreed upon upfront. It doesn’t allow much room for play – to investigate other creative routes etc. Whereas, in-house teams have the chance to experiment a bit more. 1. Initial and ongoing investment of equipment: Obviously it depends on your video requirements – which we’ll touch upon in the recommendations section – but there will be quite a lot of equipment that you’ll need to purchase. There’s the big-ticket items such as cameras and lenses. Then not to forget all the other pieces that go with that – lights, audio equipment, cards, batteries, tripods etc. Plus, all the software. It very quickly adds up. And needs to be continually updated. 2. Need for new skills and talent: Often people are unaware of the skills required for creating great videos. There is so much more to it than just ‘point and shoot’. Again, depending on your video needs, you’ll likely require skills in videography, editing, animating, directing, and project management. 3. Quality limitations: This ties in with the two previous points. And again, it’s all to do with understanding your video requirements. As if you are to produce a high volume of high quality videos, then you’ll need to invest in quality equipment and people. However, if you are not, then it would be prudent to not invest quite so heavily. Which would then limit your capabilities, meaning you’d need to outsource when high quality was required. 4. Limited capacity: An in-house team is only so big, and therefore can only create so many videos in a given period of time. They are also somewhat limited by where they can shoot. For most companies, space is at a premium. 1. Focus on your video strategy. Having a clear understanding of this will largely dictate whether bringing video in-house is worth it. And if so, how best to begin. 2. Linked to the above point, is the type of video content you desire – the quality. This will dictate the size of the studio, the complexity of the equipment, and the type and amount of talent required. 3. Further to the point above; is there suitable space available? Somewhere quiet where you can capture it, and somewhere to edit it? 4. Are the senior leaders on board? It’s likely these are who will hold the purse strings. They must be clear on the benefits of the in-house studio, and the importance of continued investment. 5. We’d suggest a phased, slow transition when building your in-house capabilities. This will help you to better understand what you need, and discover what works. 6. Something that is often overlooked in the excitement of shiny new toys and spaces, is the distribution strategy. The marketing strategy of the videos is just as important as the creation – as otherwise, no one will see them. And all of that investment will be wasted. Our final recommendation is what we’d deem to be the most important. And that’s to look at a hybrid approach to your in-house video needs. As you can guess, by that we mean having some video capabilities in-house, and outsourcing others. We believe this is always the best way to begin your journey with in-house video. To do so, you can look at different tiers of production. And so, the more reactive, fast, less polished videos are the ones that can be produced in-house. While bigger, more significant films can be outsourced to a trusted, experienced production company. Giving you the best of both worlds. There you have it. That should have given you food for thought when it comes to approaching your in-house video needs. To reiterate, once you’re clear on your video strategy, then you’ll be in a great place to determine just what video capabilities you require in-house. And then scaling your operation slowly, to see what works and what doesn’t. If you do require any assistance with video production, and developing your in-house offering, then please do get in touch. We’ve got plenty of experience in both.